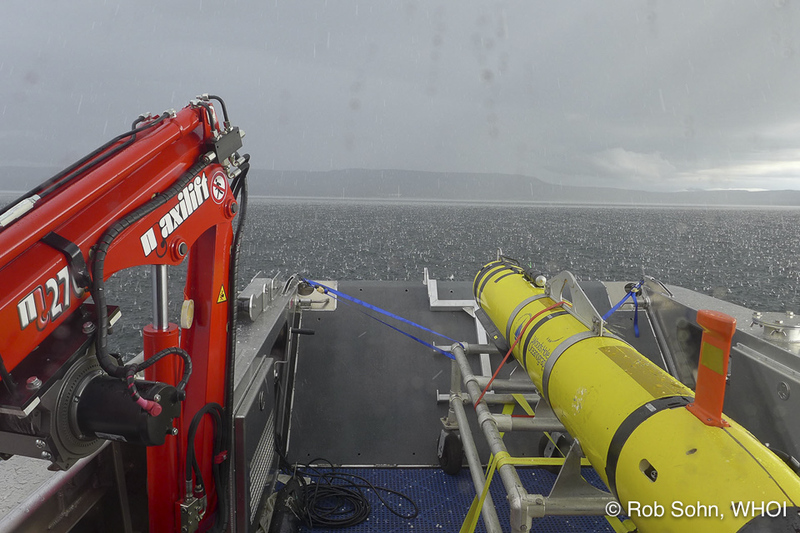 We are using an Autonomous Underwater Vehicle (AUV) to survey our study area before we dive with the ROV in August, in order to create a high-resolution baseman of the area and to identify sites of active fluid discharge. The final base maps will have a lateral resolution of 20-25 cm and a vertical resolution of 1-2 cm. 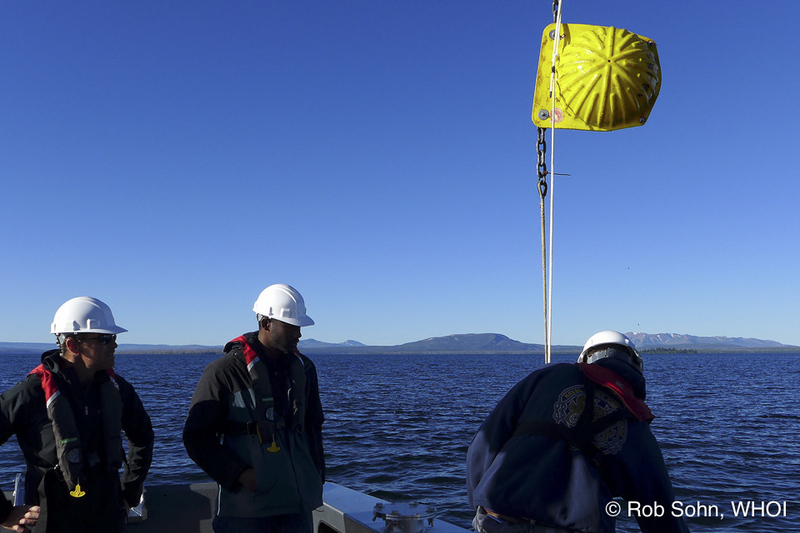 This is the first time that this state-of-the-art surveying technology has been used in the lake, and we’re excited about the maps we will produce. 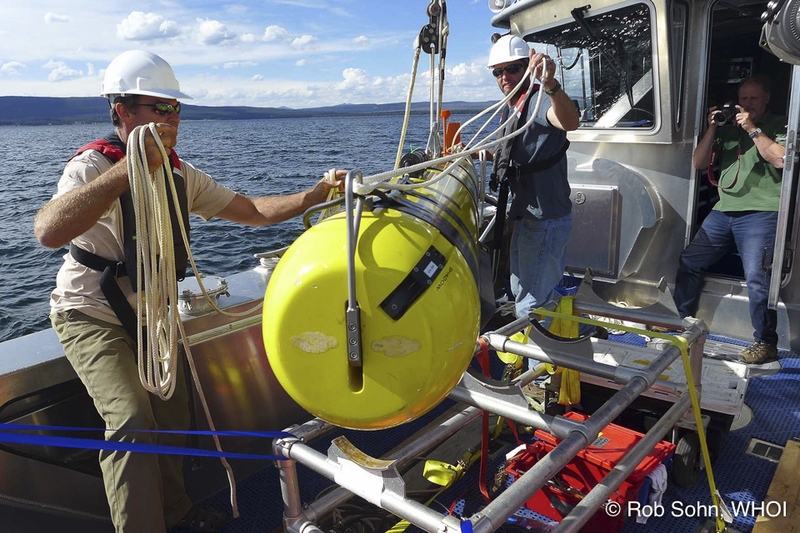 Photos by Rob Sohn, WHOI. Work was completed under an authorized Yellowstone Research Permit. 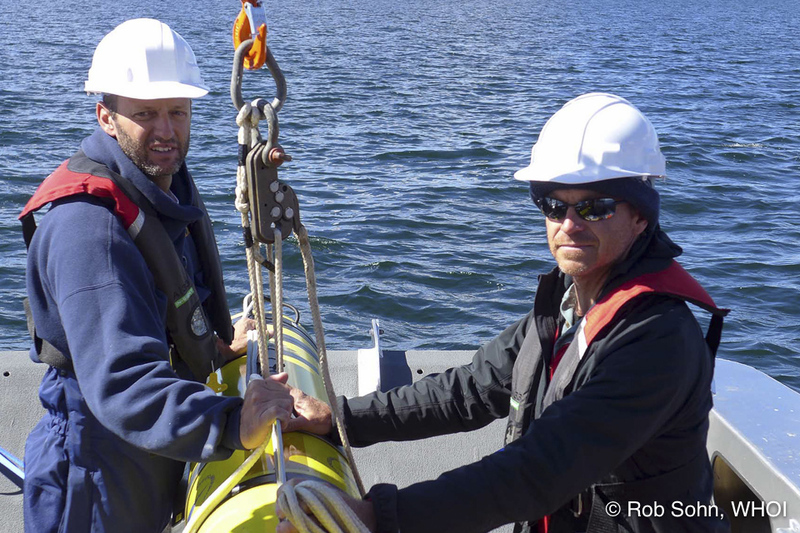 The heat AUV team is led by WHOI engineer Greg Packard (left) and data processing is led by private consultant Greg Kurras (right). These guys are pros, and its largely because of their skill that we had such a successful AUV program. Work was completed under an authorized Yellowstone Research Permit. The AUV is ~11 ft long and weighs over 500 lbs, but its no match for a hail storm. Running for cover! Work was completed under an authorized Yellowstone Research Permit. 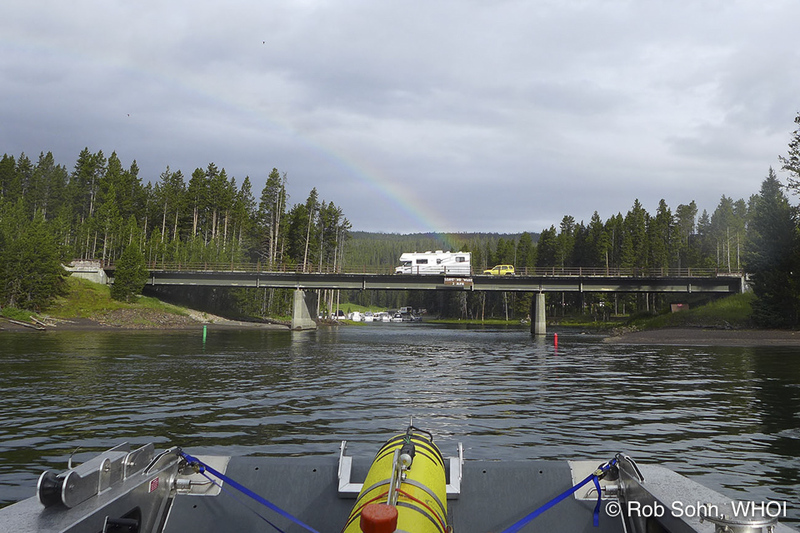 Deploying and recovering the AUV is a tricky business on account of its size relative to the front end of the boat, and each launch is its own event worth of being photographed. Dave Lovalvo provides photo documentation while the Gregs do the business. Work was completed under an authorized Yellowstone Research Permit. The AUV can’t use GPS to navigate during it’s surveys because the signal doesn’t transmit through water. Instead it uses a number of different methods to know where it is, including acoustic beacons that are deployed around the study area. When the surveys are over, the beacons are brought back onboard. Work was completed under an authorized Yellowstone Research Permit. Its a great feeling to motor back to Bridge Bay after a successful AUV mission, knowing how much new data the vehicle is carrying. Sometimes nature provides an exclamation point. Work was completed under an authorized Yellowstone Research Permit.